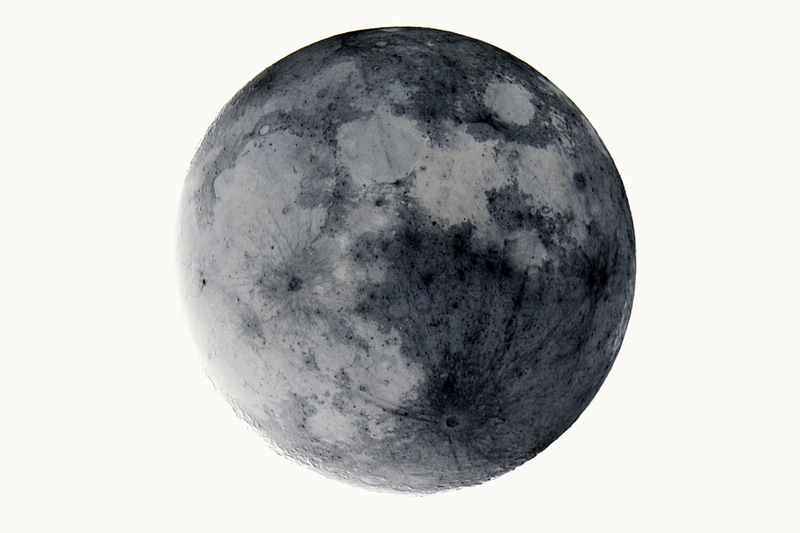 Negative Moon - This photo of the near full Moon was digitally inverted (turned into a negative image). Such an image shows certain features more easily such as rays and small craters which pockmark the lunar surface. Rays and craters are created when an object from space (such as an asteroid) impacts the Moon. The most prominent rays are those emanating from the crater Tycho which appears on the lower right of the lunar disc. The several small craters are seen as small black dots all over the Moon's surface.